Eddie has lived in Meridian for the past 4 years and currently resides in the Northeast area of Lauderdale County. He is married to Candace Pringle-Welch and they have one daughter, Addison. Eddie is an entrepreneur and owns two small businesses in the West Alabama area. 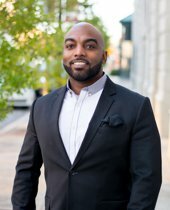 He is excited to bring his business knowledge and expertise into the Real Estate industry and looks forward to assisting you with all of your real estate needs.